Raising Chickens Can Increase Email Volume! On Monday I was VERY popular! 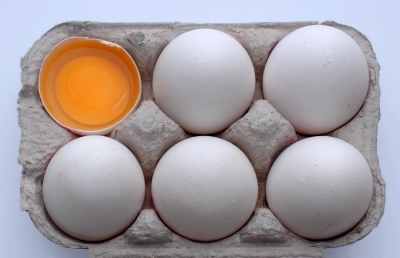 About a dozen emails from friends who wanted to share the Egg Recall story arried in my inbox. (550 MILLION eggs have the potential to be contaminated with salmonella. Read the official FDA press release.) In the beginning, some of these friends rolled their eyes at the idea of backyard chickens. Some just accepted it as another animal adventure with the city chick. Without a doubt, at this moment in salmonella history, ALL are now very interested in my fabulously fresh and delicious eggs! It seems that lately our food supply has been in question on a regular basis. What’s a person to do? One (that being me) would like to think that going vegetarian would be the answer. But even our mass produced veggies are covered in muck or chemicals. Since this blog is about the delightful chickens in my backyard, my recommendation would be to raise your own chickens for eggs. You then know what goes in them, how they’re treated and how tasty, and more importantly SAFE, their eggs are! Sadly, everyone can’t have chickens. So here is a really great article about how to buy “healthy” eggs. If you can’t buy eggs from a neighbor or local organic farmer, at a minimum you will have a basic education on what’s available at your local supermarket.